Sad to see such a well-regarded author die at such a young age. I'm gutted, absolutely. Even though, I like any one else who followed his very public battle with Alzheimers, knew it was coming, it was still a shock. He will be much missed. I'm just glad I got to appreciate his work and that he has left a wonderful legacy that will endure for many years. As another poster said REST IN PEACE, SIR TERRY. My dad used to tell me and my brother stories of Rincewind, DEATH and the Guards when we were kids. I will bloody miss his humour. This makes me very sad. He brightened so many lives with his fiction, and he was way too young. "HELLO MR PRATCHETT....THERE'S NO JUSTICE, THERE'S JUST ME"
Judging by the couple of books I have read from him, he had really unique mind. And by definition, such uniqueness is rare. 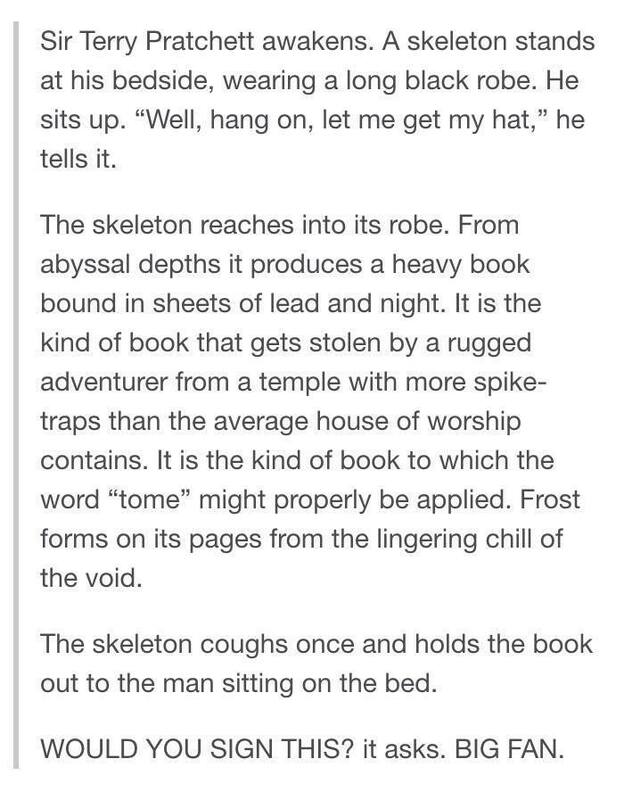 Too rare, that is. He will be sorely missed. Not enough comic writers of genius, unfortunately and that is one less. I remember about 16 years ago being unhappy at work and in need of being cheered up. I picked up Feet of Clay at the library and nearly busted my jaw laughing. 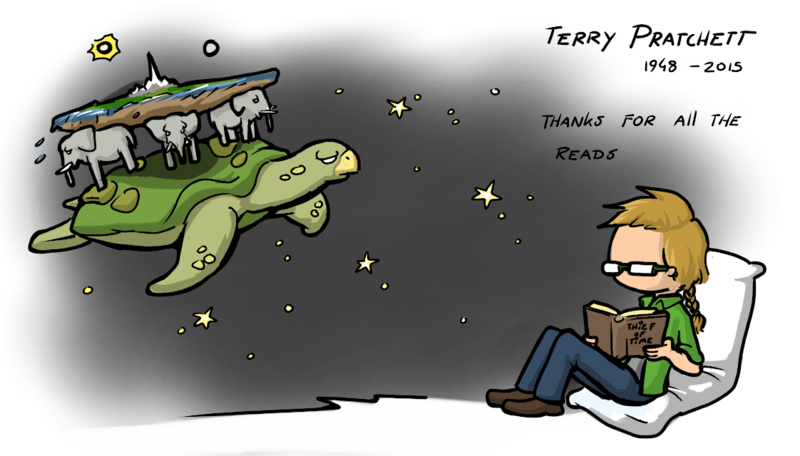 Thanks for all the great books, Terry Pratchett. We sometimes reward writers for their work. Why we never punish them? Just read an interview with Sir Terry's daughter, and thought it was quite endearing. Also watched his documentary on Euthanasia (Choosing to Die, 2011), and found myself crying like an idiot. It is a subject I have always championed for, because of a sickly dog I had that made me learn a lot about suffering and death. I had no idea Sir Terry had made a documentary on the subject, and it was great, even if hard to stomach. The world has really become poorer without him.